Thursday, 7th April 2016 – StudioCoast PTY LTD, makers of live production software vMix, today announced its adoption of NewTek’s open Network Device Interface (NDI™) standard for IP-based production workflows for its latest release, vMix 17. With NDI enabled, vMix will be recognizable as a source by other NDI-enabled devices and applications connected to a standard Ethernet local area network, exponentially increasing the number of video sources available for live production. vMix has directly integrated NewTek NDI into every edition for the vMix 17 release. This will allow vMix users to send and receive NDI video sources to any compatible software or hardware over the network and open up a world of opportunities. This leading standard for live production IP is bi-directional and backwards compatible with a large number of products from top manufacturers already utilizing NewTek’s open technology allowing IP connectivity. Customers using vMix 17 will be able to incorporate products from the NewTek Developer Network in their IP workflow, which is the industry’s largest ecosystem of IP-enabled solutions using the same standard. 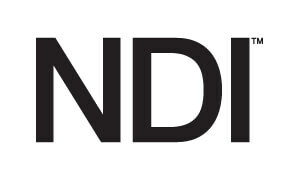 NDI is now available as a royalty free software developer kit (SDK) for any company looking to establish IP workflows within their organization, or in production tools and systems they manufacture. For more information on NDI, visit ndi.newtek.com. STUDIOCOAST PTY LTD is a multimedia software and web services company based on the Gold Coast, Australia. Established in 2010, StudioCoast released vMix, a new cutting-edge live production software solution that utilizes the latest in computer hardware to enable live high definition switching and streaming on an ordinary PC.